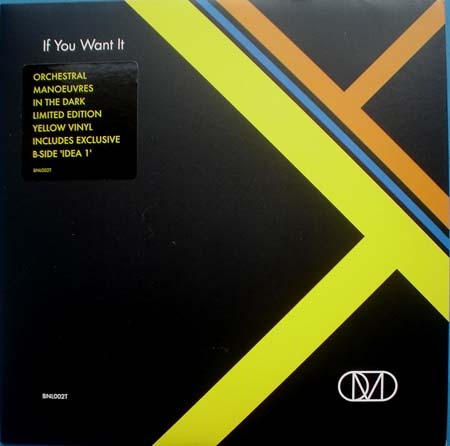 It was September of 2010 that the long-awaited new OMD album finally got released. This was the first album with the OMD imprint in 15 years, but this one had all four original members as part of the band, for the first time since 1988 and the “Dreaming” single. It began with the bang that was “New Babies, New Toys;” a piece of clatter and hum sardonically referring to the dirty business of pop music. A subject that had been a double edged sword for OMD. Particularly during Andy McCluskey’s adventures in assembling a manufactured group of women a decade earlier. The tune burst with hooky flavor crystals and [did you notice that?] more than a dollop of the Joy Division/New Order “lead bass” sound. It was a vibrant, new sound for this band and set me up for the album in a big way on its first listen. Too bad that the next song, the all-important pre-release lead off single, was the turgid slab of schlagerpop known as “If You Want It.” Not 13 seconds into it and the big, fat lighter-waving chorus hit like 50 pounds of stupid! I cannot imagine why this song, obviously written years earlier for the likes of Atomic Kitten or The Genie Queen, was deemed to not only be included, but lead single material. The band claim that “industry feedback” selected the song and if so, it shows how even 27 years later, they were still smarting from the “Dazzle Ships” sales plummet. One would think that after reforming on their own terms with no label telling them what to do, that this sort of bet-hedging [the worst kind, really] would have been jettisoned. Fortunately, the album righted itself quickly with the best of the three singles released from it. 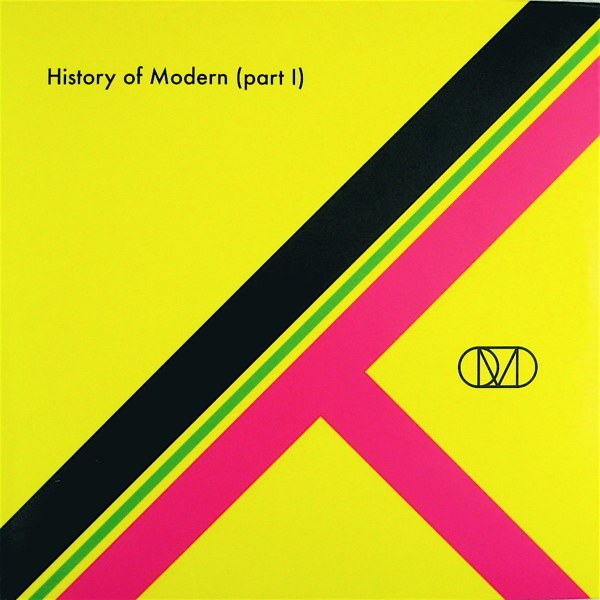 The title track, “History Of Modern [part 1],” by all rights should have been the lead off single from it [not the third] as it was a perfect blend of typically esoteric OMD subject matter [the entropic death of the universe] with an ironically upbeat technopop arrangement that was their stock-in-trade during their glory years. Sounding just as appealing thirty years later. Twelve years later and hearing this can still get my spine tingling. 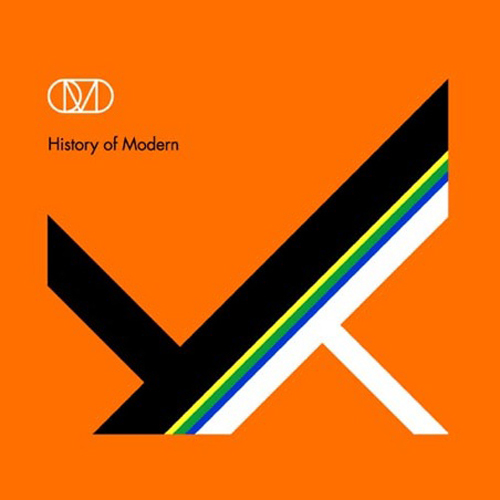 Even, better, the superb deep cut that followed, “History Of Modern [part II],” had every right to be another single in its own right. The heartbreaking melody had the quintessential OMD edge with an almost Celtic melody couched in a pastoral synth and sound effects arrangement that very strongly recalled “Sentimental” from La Düsseldorf’s “Individuellos.” Then the chorus arrived in a burst of high energy and ignited the tune with a backbeat that wouldn’t quit. As good as “HOM1” was, I loved part II even more. This was superb OMD. Unlike what followed. “Sometimes” was a bad decision of a track that dared to incorporate the spiritual “Sometimes I Feel Like A Motherless Child.” Andy had been diabolically interested in incorporating gospel elements into OMD ever since “The Gospel Of St. Jude” on “Universal.” Why, I cannot say since the band have absolutely zero to do with that genre. Female backing vocalists sang the song quote as McCluskey simply got lost in the mess of this song. The sound design was just as bad with oscillating synth loops [my least favorite soft synth cliché] sounding indisputably cheap and nasty in the hackwork arrangement. The band’s spiritual debt to Kraftwerk could not have been made more explicit than in “RFWK,” the next song taken from the first letters in Ralf, Florian, Wolfgang, and Karl’s first names. McCluskey describes how he felt like a son to them as Paul delivered a synth solo full of the classic Kraftwerk sound. The arresting “New Holy Ground” saw them harkening back to not only the melancholy melody of their classic B-side, “The Avenue,” but also Holger Czukay’s rhythmic walking on the obscure Eurythmics B-side “Le Sinistre.” It said something for the health of the band that this song could be deemed album material instead of being relegated to a B-side. This entry was posted in Core Collection, Designed By Peter Saville, Rock GPA and tagged 2010, History of Modern, OMD. Bookmark the permalink. History Of Modern is certainly uneven. But if it had been some burst of perfection from a band that really hadn’t been together for 2 decades, it really wouldn’t seem genuine. In fact, it would have made me, a real fan, ever more angry that they couldn’t have just released such an album years earlier. There are certainly I avoid on History of Modern. You will come to one song on side two in particular, that really irritates me. But just to have RFWK and History of Modern I and II makes side one successful for me. I would say there is even a lineage of sorts from Joan Of Arc & Maid Of Orleans and HOM i & II – not in sound, but in concept. Echorich – You frame the issue of this reformation album in a most intriguing way. I have to admit that I never considered reacting to it with anger had it been utterly successful! Interesting. Of course it wasn’t, but it was good enough to be my pick for their 5th best album at the time of release. I played the hell out if it like nothing else in a decade on its release, even as I resorted to actually skipping three tracks that made it a much stronger listen; a Monastic no-no. In fact, I can’t recall any other tracks I had ever skipped on an album playback in 35 years of listening…except for “Bring On The Nubiles,” by The Stranglers. Truculence I had no problem with, but that was just vile!